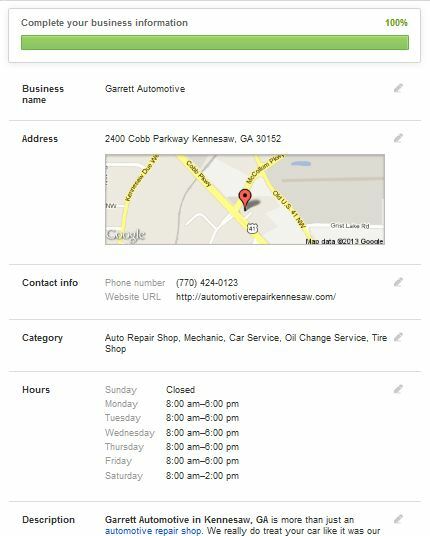 Google Local provides listing information for local businesses, whether big or small. When internet users search for a product/service plus city name, they receive local search results. These local search results offer small businesses the ability to compete in Google despite the size of their web presence. Occasionally, these Google Local results will begin to appear before traditional website listings. Many factors play into how your Google Local listing is ranked in search results. The algorithm changes often, and no one other than Google knows exactly what plays into making a listing rank well. We do know, however, that accuracy and consistency across the web about your business play a major role in Google Local. Whether you claim and build your Google Local listing or TrustWorkz® does it for you, it’s important that the listing is completed 100%. Over the past year, this process has confused many small business owners. Google has been busy integrating their social network, Google Plus, with Google Places (Local). As they transitioned to Google Local, many things became unclear with changes made to local listings. Earlier this week, Google Local began to roll out new and improved changes to their Google Local editor. These updates were major improvements for users trying to keep track of their local listings. The updates made to Google Local help the user clearly understand what information is missing from the listing, what might be holding up an update in Google’s approval process, and where you can maximize other retailing opportunities on the page. Small business owners can take advantage of Google Local listings by properly claiming their location through Google Plus. Looking back on last year, we are extremely happy about making the decision to make it a best practice of ours to create and maintain Google Plus pages for our clients. If you’re interested in how your business can take advantage of local internet marketing, contact TrustWorkz® today!